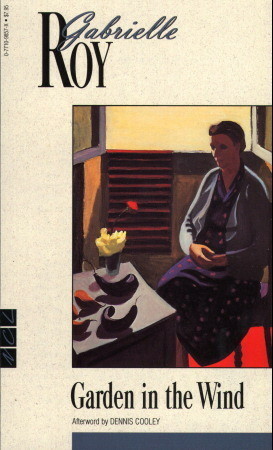 The stories in the collection share a focus on female narrators (although at least one allows the concentration to wander across the table as a man and his wife are out for dinner), and characters do reappear (Jane is a babysitter in another story, in which the focus is on the mother, for instance), which will please those readers more likely to pick up a novel than a collection of stories. It was her first collection, Dear George, which won my reader’s heart, but her third collection is just as good. 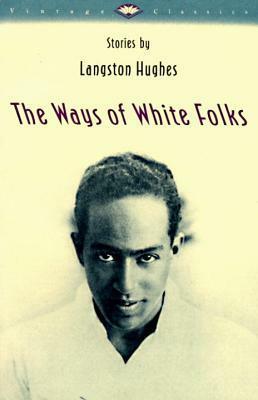 Like Helen Simpson’s stories, Langston Hughes’ The Ways of White Folks concentrates on the lives of ordinary people. Sometimes on isolated moments, as with “Passing”, which is also the shortest in the collection, in which a young man addresses his mother on paper, following an encounter in which his acknowledgment of her would have put his cover at risk. Published in 1933, the world in which these characters live is starkly drawn, with lines — both immediately visible and simply understood — to clearly demarcate territory. The characters in Hughes’ stories are most often dancing across those lines, their momentum creating the tension which makes the stories both interesting and relevant, even decades after they were first published. For instance, Oceola in “The Blues I’m Playing” spends a considerable amount of time in Paris and other centres in which her musical talent is given an opportunity to shine (after she gains the support of a white benefactor). But eventually she returns to Harlem. “I’ve been away from my own people so long,” said the girl, “I want to live right in the middle of them again.” That is not uncomplicated. Gabrielle Roy’s Garden in the Wind (1975) is also preoccupied with capturing the extraordinary moments of everyday life on the page. The tramp is a distant cousin. Or, is he. The question remains unanswered through much of the story, which raises matters of belonging and home, family and community, heart and hearth. And, just as the tramp is a visitor, readers can take a seat at the table as well, listen to the tales which he tells (and receives), offering insight into the experiences of settlers and farmers. As with all of her works, from her debut The Tin Flute to the stories in The Road to Altamont, landscape plays a vitally important role in these stories, be it a street in Montreal or a string of hills. “And in fact that’s about all there was to it: a horizon so distant, so lonely, so poignant, that your heart was gripped by it again and again. A paternalistic tone permeates this story; it is clear that the author is sympathetic to Sam Lee Wong’s situation, and she acknowledges that interventions to assist with settlement fall into ruts and repeat unhelpful patterns, but there is a sense that this story is the story of every Chinese immigrant and that he cannot tell it himself (just as another marginalized character cannot make himself understood on the streets of the town). Certainly Roy was no stranger to the struggle to adjust to a new environment and community, leaving Quebec for life in an insular Prairie town. She captures some of these difficulities poignantly and realistically. And, yet, Sam Lee Wong faces challenges that Roy did not. “At that time there was a very cruel immigration law regulating the entry of Chinese immigrants into Canada. Men – a few thousand of them a year – were admitted, but no women, no children. Later the law was made more humane.” More humane, perhaps. Still, unjust. Quite likely this story raised important questions for a number of readers some decades ago, but contemporary readers will long to hear Sam Lee Wong’s voice speak directly to them. Have you read any of these? Are there any story collections in your stack? Are you planning to read any this reading year? Always happy to see reviews of short story collections on blogs! I have only read poems by Langston Hughes, so I should explore his longer fiction one of these days. It’s interesting that both he and James Baldwin wrote in such diverse forms, but how many readers know only one aspect of the writer’s work anyway. I’ve got to read more of both! 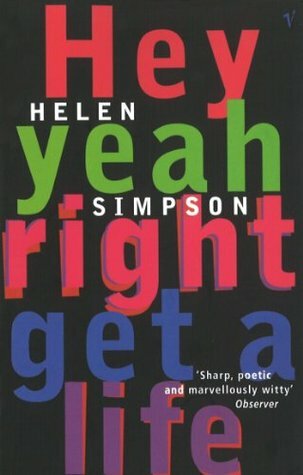 I love Helen Simpson’s short stories. I think I’ve got every collection she has published. I must re-read Lentils and Lilies. Burns and the Bankers is another favourite – can’t remember if it is in this collection or not. Thanks for posting this, we don’t see enough Helen Simpson on blogs! Can you believe I still haven’t read any Gabrielle Roy? I keep meaning to, and then… Do you have a favourite? Maybe I just need to be directed. I’d also like to read something by Langston Hughes sometime. I don’t read a lot of short stories but am hopeful to read a few more this year. I actually didn’t know that Langston Hughes wrote short stories. There are so many of his poems that I love that I must check this out. Thank you for highlighting these! There aren’t a lot of lyrical passages which sometimes dot the prose of poets (say, with Michael Crummey and Michael Ondaatje and other non-Michael poets who also write fiction), but there is a grace and buoyancy to the prose which seems to speak to his experience writing verse. If you can find a copy, I hope you enjoy them as much as you’ve enjoyed his poems! I think one does need to find a way to incorporate stories into the stacks in a way which feels right for each reader. It can take me months to finish a collection, but ideally I would like to read a story every day, or every other day, so that I can get a sense of the collection’s themes (if there are any) but still allow for some time between stories so they don’t blur together either.